I find the title of the album to be very fitting in describing the music. 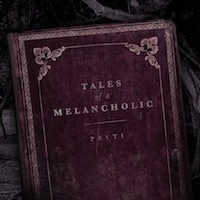 This is definitely melancholic rock music, which Pryti brings to life with the emotional control of her voice. Beautiful and soothing in the lower ranges, to soaring and poignant in the upper ranges, she drives the album with absolute intention and control.